For nearly 20 years Dr. Roof has led the industry in residential reroofing, eavestroughing, soffit, fascia and siding in the Winnipeg , Manitoba area. The trained professionals at Dr. 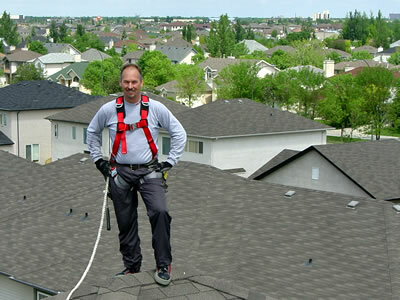 Roof have handled thousands of projects in Winnipeg and the surrounding areas. Our commitment to our customer’s satisfaction ensures that we will deliver just what is expected or more. From providing the original specifications to the final installation, the team at Dr. Roof strives to meet the demands of even the most delicate or complicated roofing and exterior renovation project. Our trained professional installation experts understand the requirements of being able to complete your project efficiently, safely and with the least amount of disruption to your home and the surrounding neighbours. Eavestroughing, Soffit, Fascia, Siding contractor.